Preparing to complete a Whole 30? 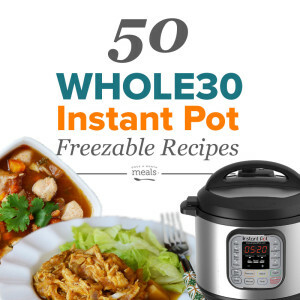 Join us in prepping a Whole menu that can be cooked in your Instant Pot! Whole30 is a 30-day eating plan that temporarily removes specific foods and food groups that could potentially be having a negative impact on your health. By avoiding these foods for 30 days, participants are able to gain an understanding of if and how any of these foods affect their day to day life and overall health. For more Whole 30 resources, check out our BLOG!